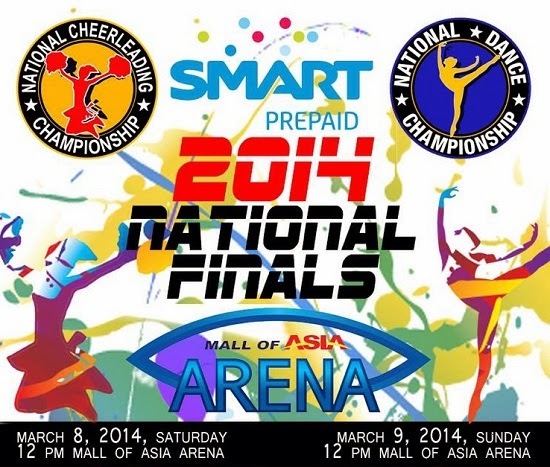 South Cotabato cheerleading teams were qualified to compete in this year's National Cheerleading Championship Finals happening on March 8-9, 2014 at the SM Mall of Asia Arena in Pasay City. Saravia National High School, which bagged the top spot during the regional qualifiers last October 2013 held in General Santos City will be competing in the High School Division while Notre Dame of Marbel University which ranked 3rd in the regional qualifiers will be also seen in action against the best teams around the country in the College Division. Other cheerleading teams from Southern Mindanao which will be joining the NCC Finals this March includes NDDU-Ibed and Dadiangas North High School in the High School Division and Notre Dame of Dadiangas University and Mindanao Polytechnic College for the College Division all coming from General Santos City.